The Venosta Valley High Mountain Trail in South Tyrol is a multi-day hiking trip at great heights, a true attraction for hikers. Its path develops from the Adige river source at the Resia Pass in the north until Stava/Staben in the Lower Venosta Valley. 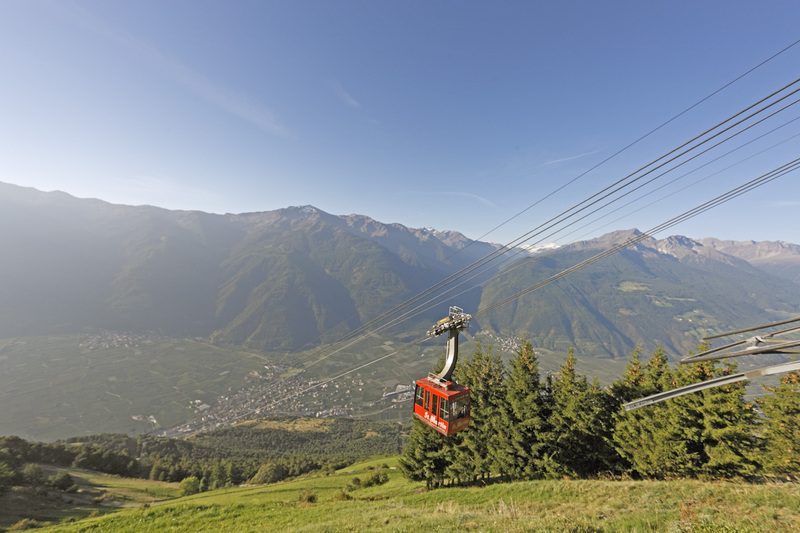 The rich and varied vegetation of Monte Sole mountain and the splendid panoramic views of the Ortler mountain make the journey a unique experience. The Venosta Valley High Mountain Trail offers usually good weather conditions, as well as a clear view of the glaciers, a perfect trip for lovers of mountains and nature. The Venosta Valley High Mountain Trail passes through various stages of the Monte Sole hiking trail. The 108 km long trail takes several days. The individual stages can be made also as day trips, since the Venosta Valley High Mountain Trail is easily accessible from many locations of the valley. Each stage offers unique features as well as breathtaking views, cultural highlights and local gastronomy, making a mountain holiday in the Venosta Valley in South Tyrol a rich and unforgettable experience. We recommend booking your accommodation in advance, as accommodation opportunities are limited. For those, who decide spontaneously to hike along the Trail, we recommend the weekdays (not the weekend). The best time to hike is from April to October. In midsummer, however, temperatures can be very high. If there are road blocks, you will find all current information on our maps. The Venosta Valley High Mountain Trail is a hiking experience for passionate nature enthusiasts lasting several days. It provides the opportunity to hike from the source of the Adige river to Stava/Staben or vice versa. This tour describes the route from Resia/Reschen to Stava. 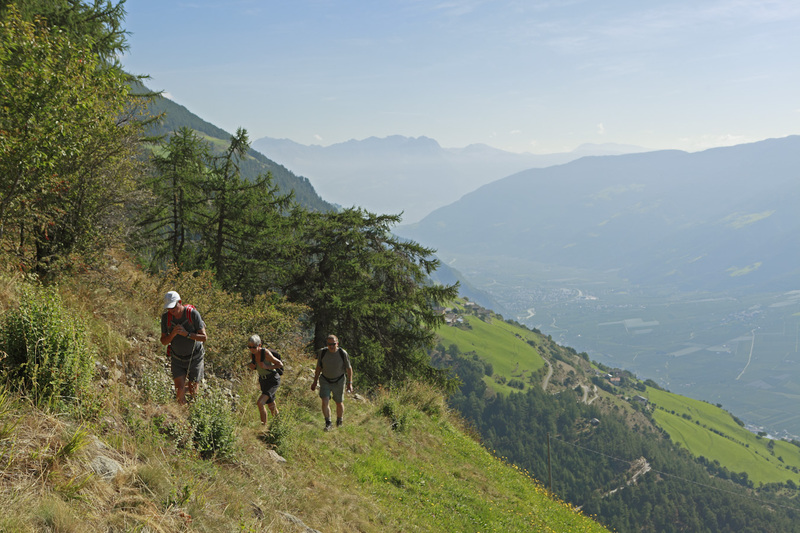 The Venosta Valley High Mountain Trail is a multi-day hike, running from the Lower Venosta Valley to the source of the Adige river at the Resia Pass in the border triangle. Needless to say, the route can also be explored in the opposite direction. The Venosta Valley High Mountain Trail consists of various stages and covers the entire Monte Sole mountain area. The 108 km long trail takes several days and can also be completed in individual stages, suitable as single day trips, since it is easily accessible from many locations in the valley. Each stage offers interesting discoveries from the point of view of landscape, culture and gastronomy, making a mountain holiday in South Tyrol an unforgettable experience.